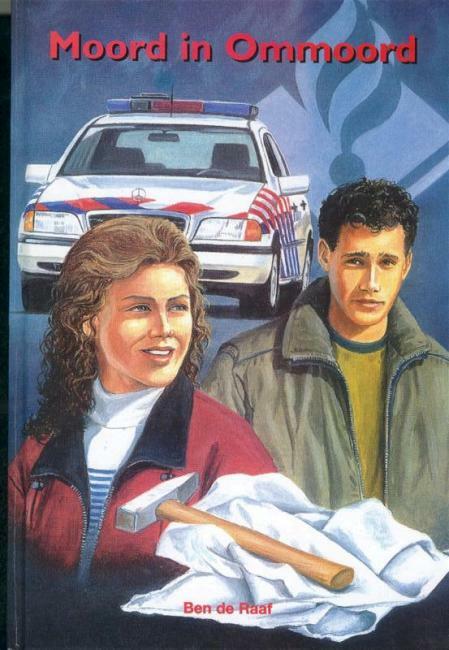 This was the first book I read from this police series. This series was new to me and it got my attention because it is written by Ben de Raaf. Ben de Raaf is a former police officer of Cape and he has written this young adult series based on his experience . I have read this book somewhere in 2014 and I am not certain of when exactly because I did not keep track of my reading habits back then. Now I do of course because I am blogging about the books I have read. This book is published in 2000 and since he has written 15 sequels of this book. It is recommended to read the books in the right order because the personal life of the main character has also a important part in the different stories. The further content of the review you will find below! This book is a really good start of a series! The main character is a young lad named Roel Westland who is still going to high school but get slowly interested in police matters. His first experience and the growing interest for the police acadamy starts with this book and there are so many ways someone can start a career or starts finetuning in a direction. But no he is not a police officer yet, he is still going to high school as a young lad and still has to pass his exams. A long way to go. His career starts with a small week-long internship at the police station. The story starts exciting and if you are living in Rotterdam or if you have lived near or in Rotterdam you can imagine the streets, the parts that take part in this story and so on. Also Cappelle aan den IJssel plays a big part. This is not totally imagination, author Ben de Raaf was a former inhabitant and police officer of Cappelle aan den IJssel. Note: I have read this book before I started taking notes of spelling and / or grammar. The amount of writing or spelling mistakes is low. I remember that throughout the first sequels of the series, there are a few spelling mistakes now and then. Sometimes a sequel without any and sometimes a sequel with a few. Conclusion: You can read the series in a nice tempo because you will not be delayed by spelling or grammar mistakes. The main character in this book is the young lad Roel Westland. He is in pre-exam class on high school and lives in Capelle aan den IJssel, a village next to Rotterdam. His family plays in this story a little role and also a girl he has an eye on, named Ingrid. Roel lives with his parents and, as well as Ingrids family, they are religious and go to church every sunday. In short: this series is really nice to learn a bit more about the do’s, don’ts and things that happen in the life of an police officer. It gives you the feeling of reading a ‘behind the scenes’ book. There is at the moment on air the police television series ‘Flikken Rotterdam’ and sometimes that series reminds me of those books.